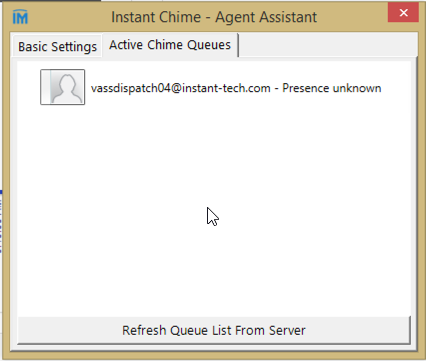 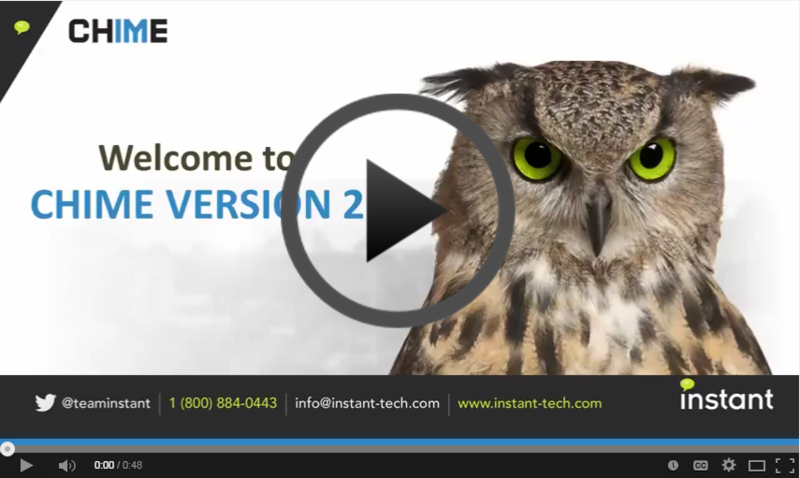 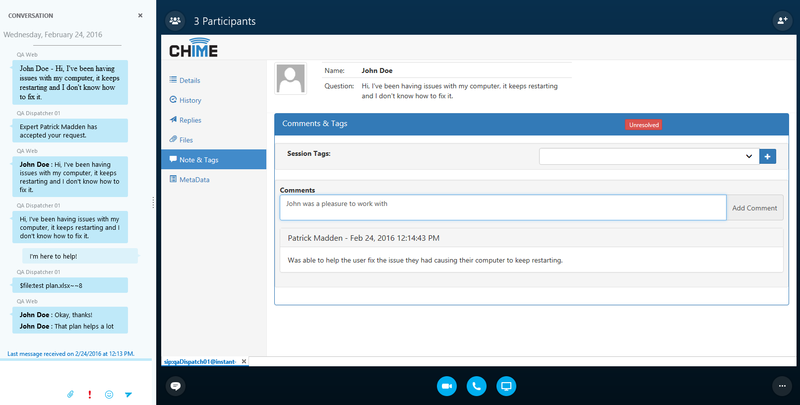 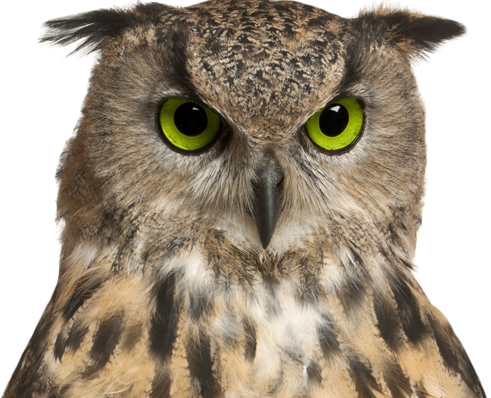 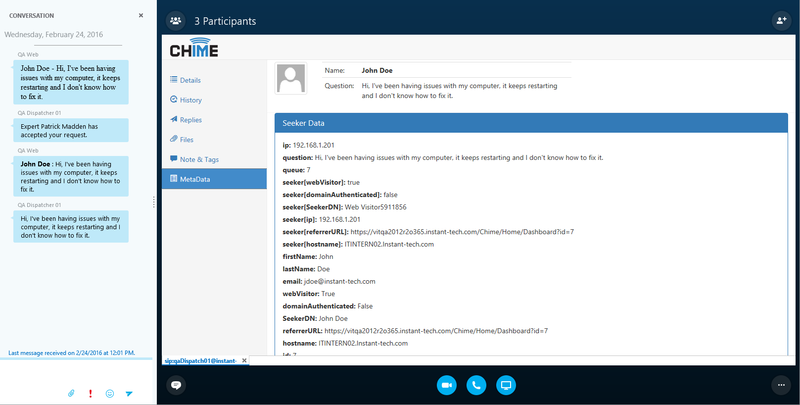 Have a question about the Chime Agent Translation Tool Ask one of our developers at support@instant-tech.com. 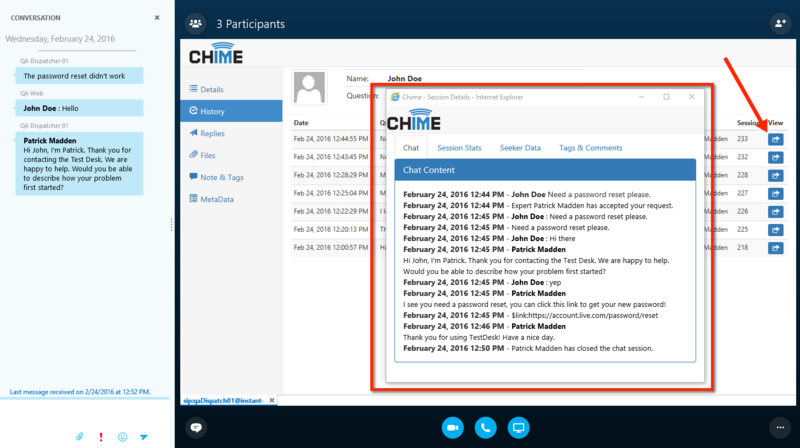 The Chime Agent Translation Tool is a new feature set that has been added onto the existing Chime Agent Assistant. 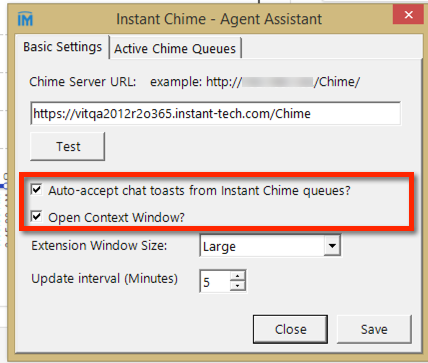 The Chime Agent Assistant is a client-side application that gives the service desk agent the ability to auto accept Chime chats and open the agent context window extension. 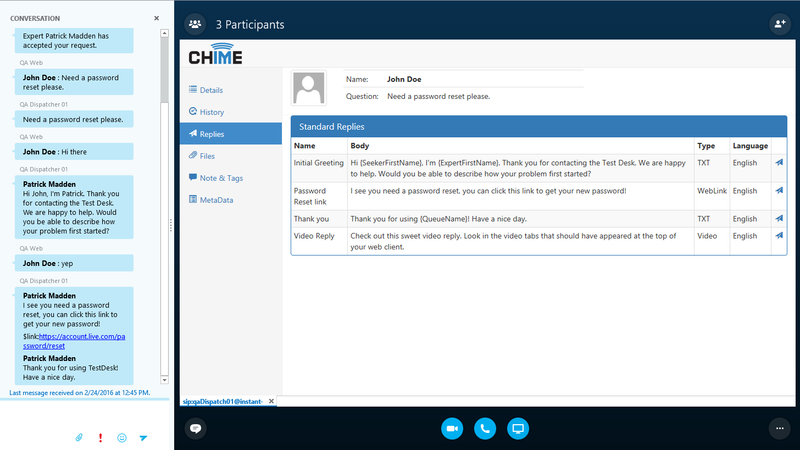 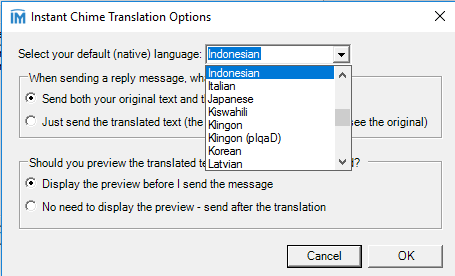 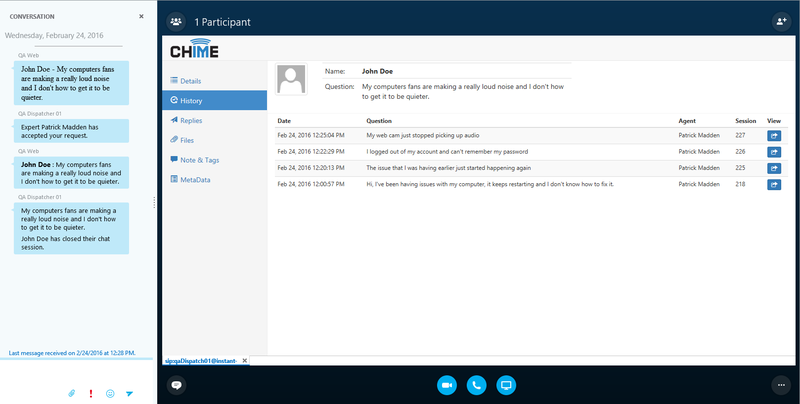 The new features allow agents to perform live translation for messages that are in Chime chats. 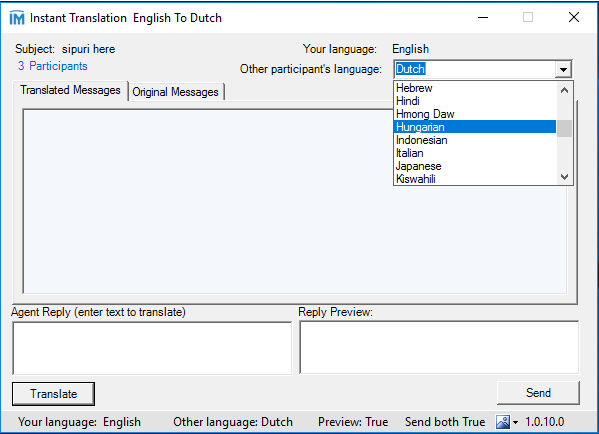 The Chime Agent Translation tool uses Microsoft Azure Translation services to translate incoming and outgoing messages and it integrates with the existing Agent Assistant allowing Agents to seamlessly integrate language translation into their chats.